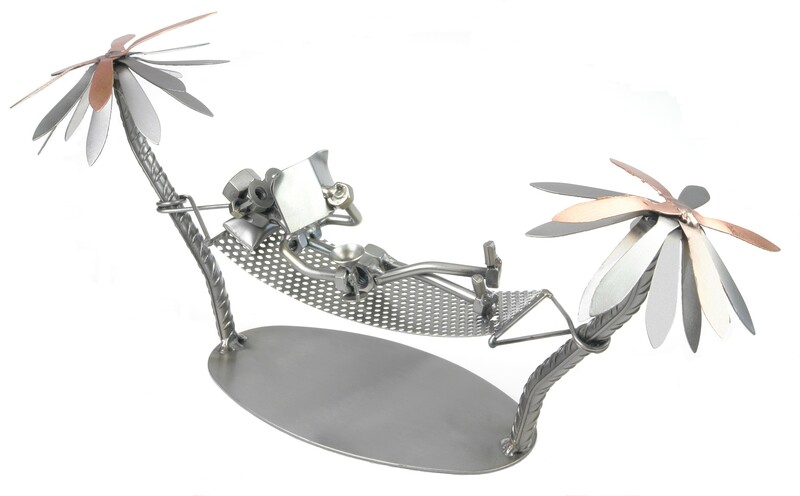 A metal figurine relaxing under the palm trees and enjoying the warm sun. Can life be more beautiful? A wonderful present for everybody going on holiday or just for everybody. Who wouldn’t live like that?